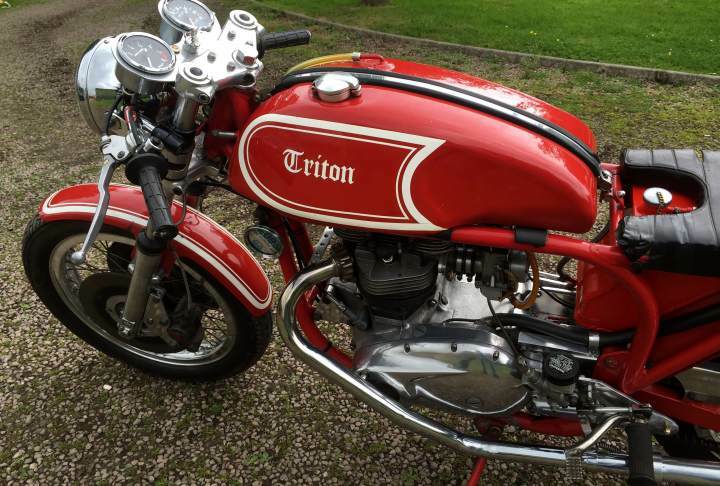 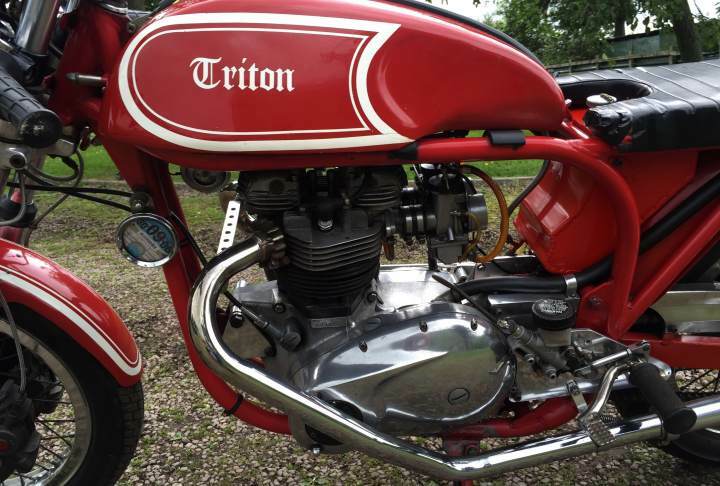 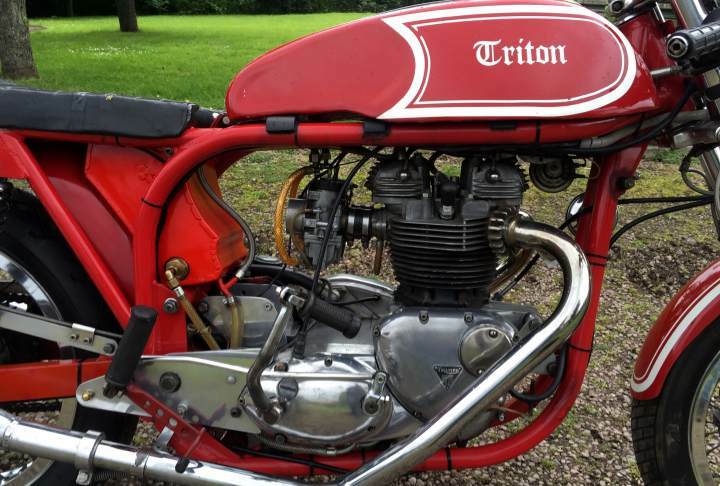 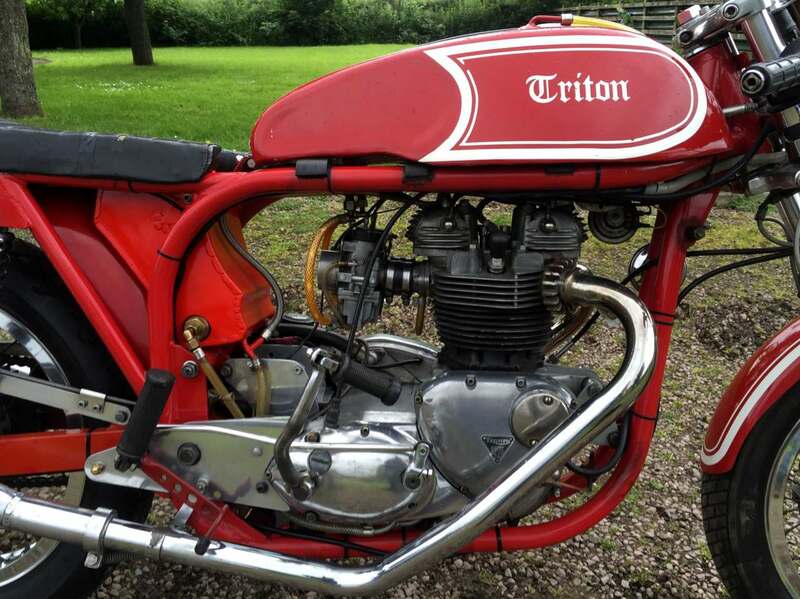 Triton 1961. 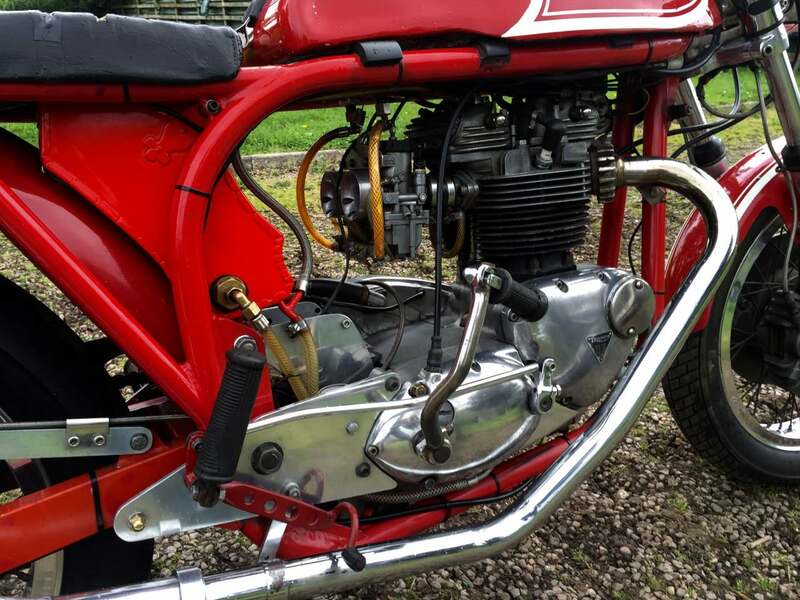 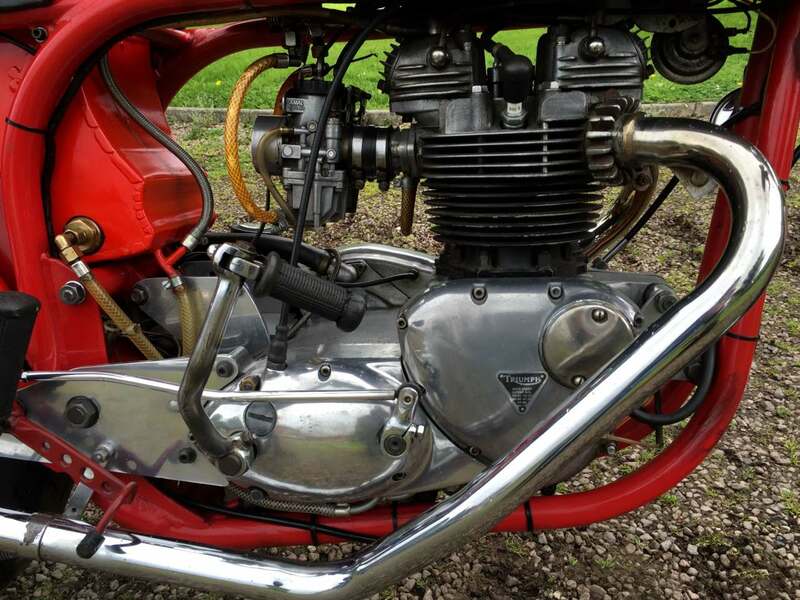 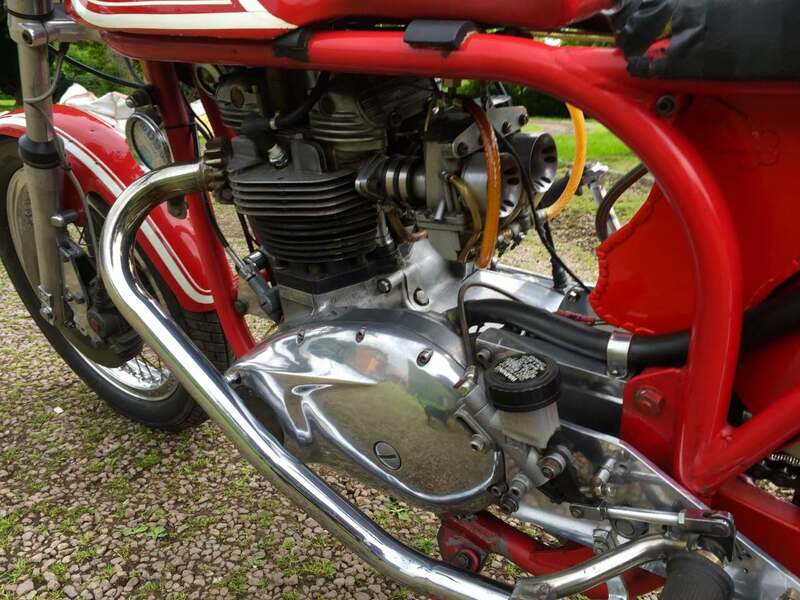 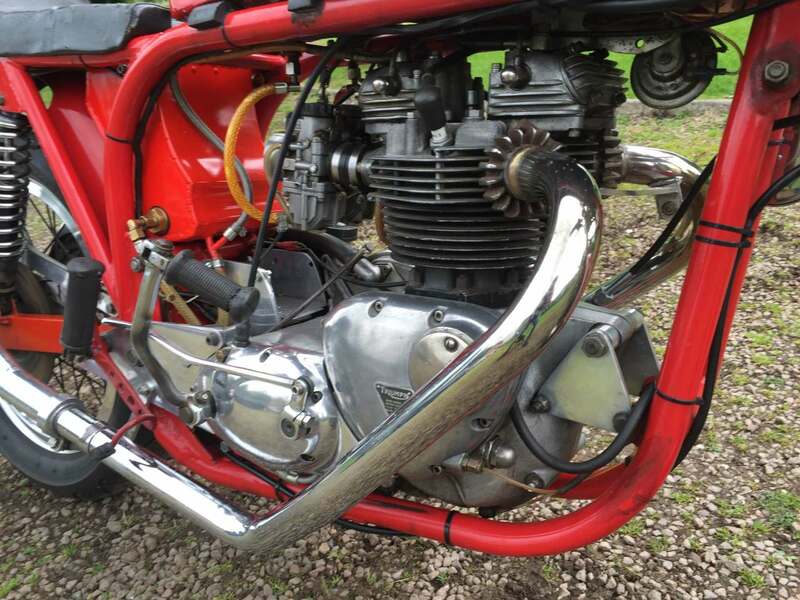 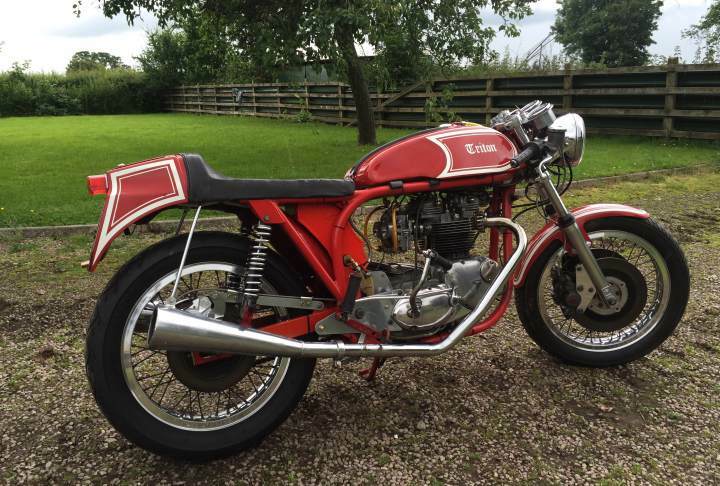 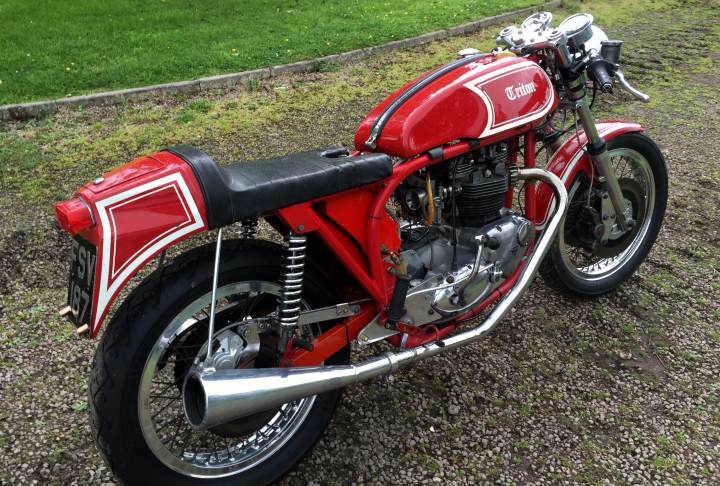 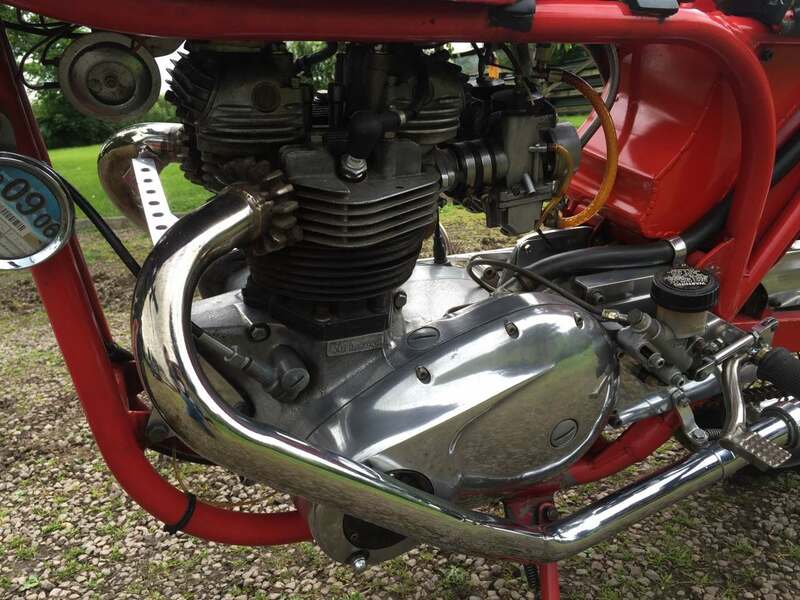 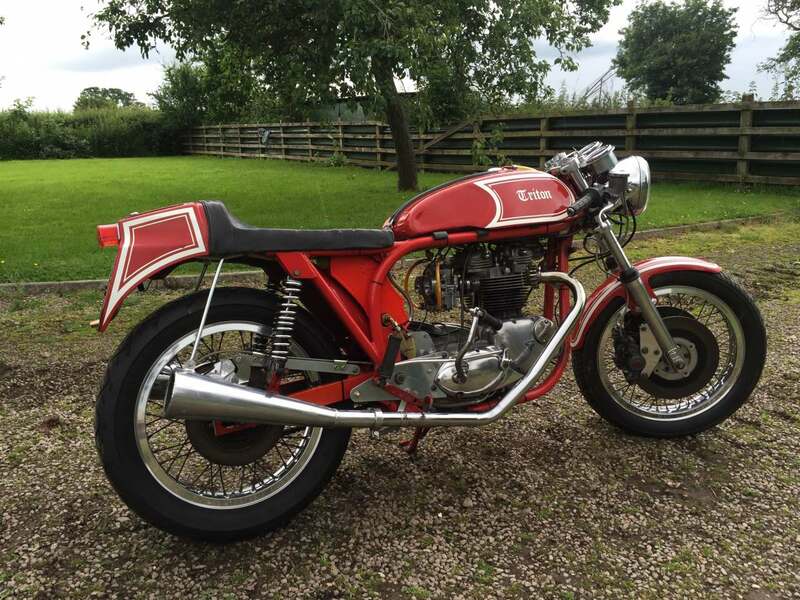 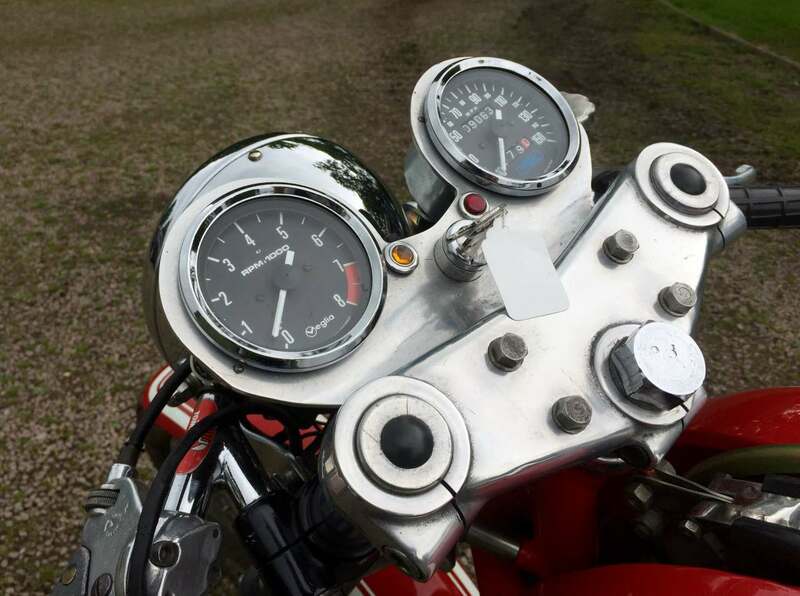 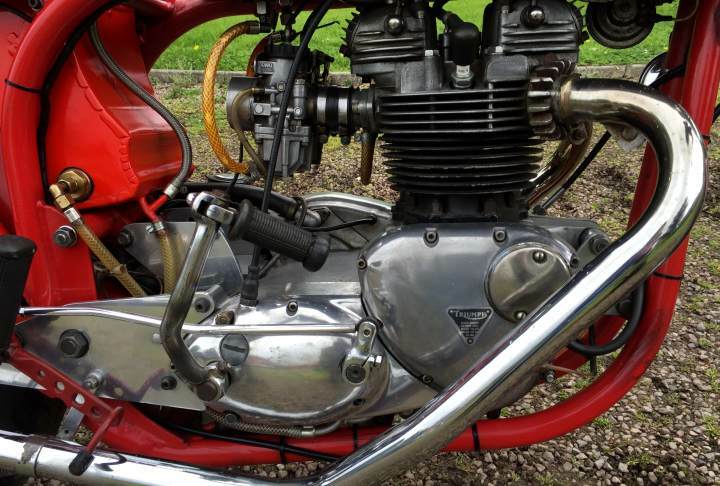 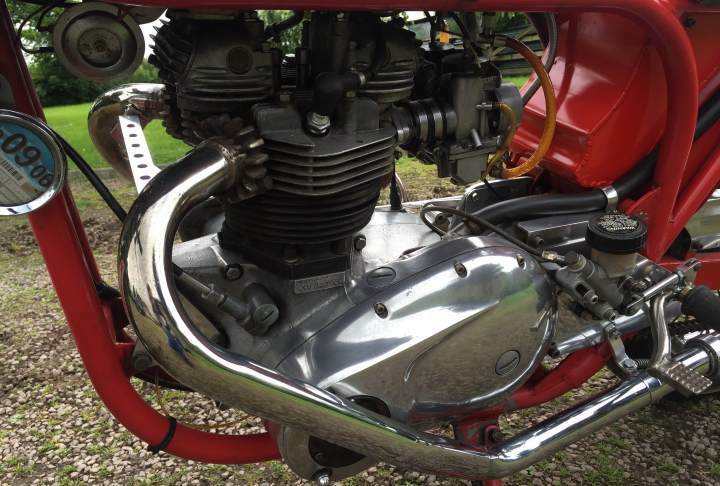 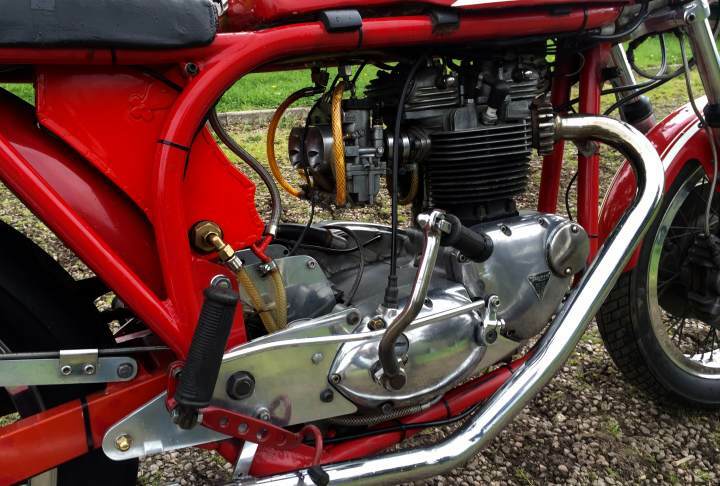 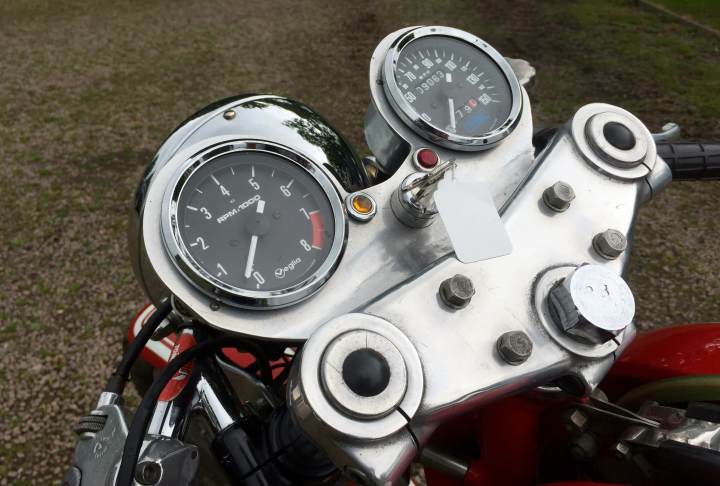 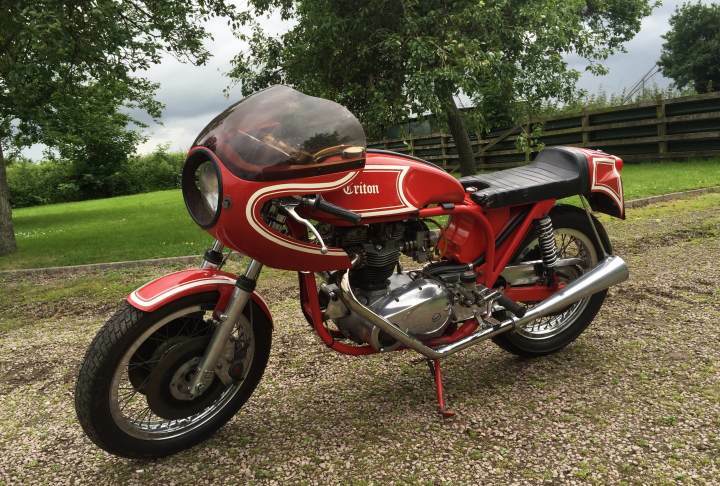 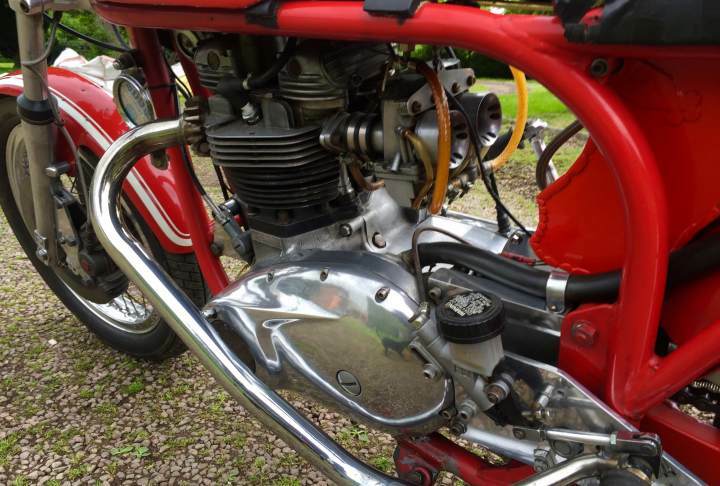 Featherbed Slimline frame, Bonniville T140 V 750cc engine with high compression pistons. 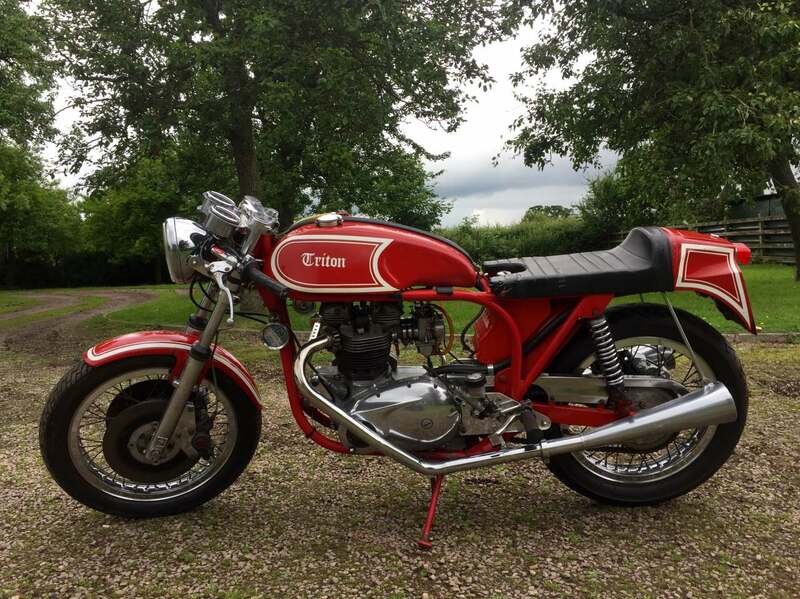 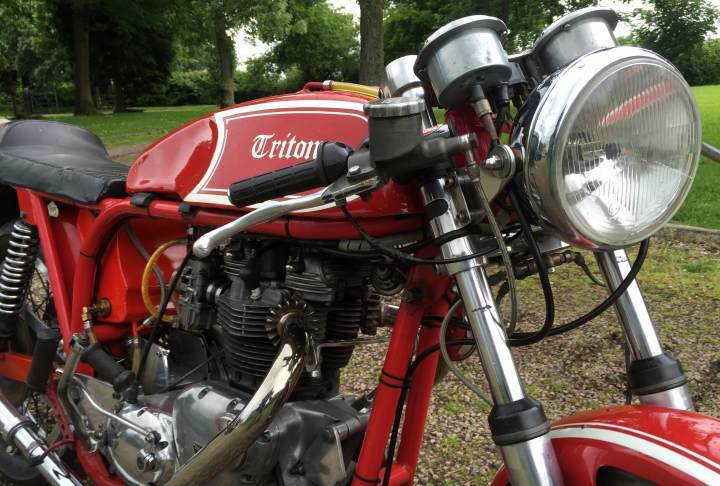 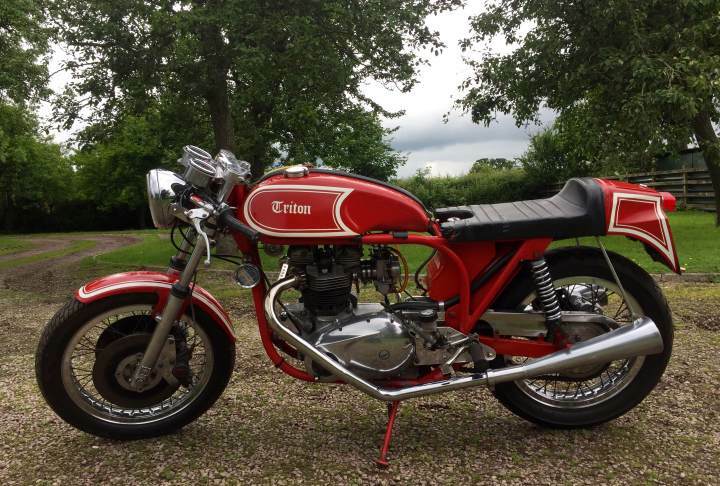 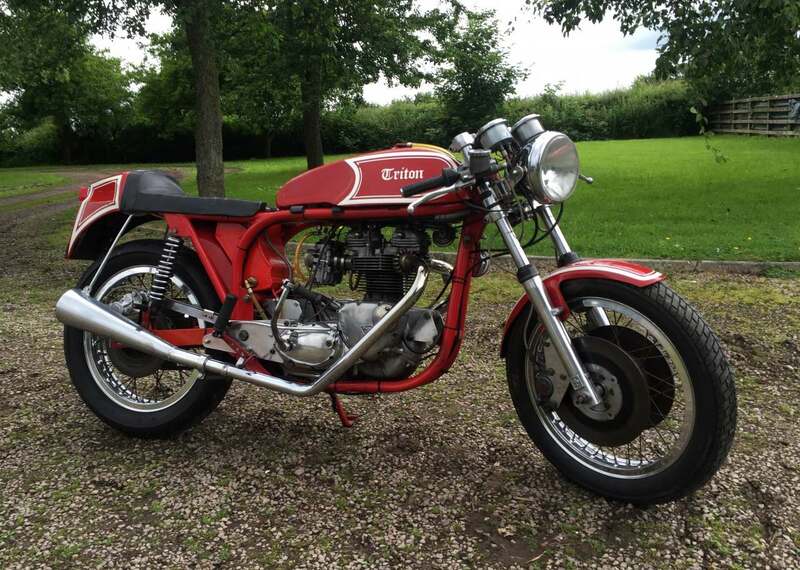 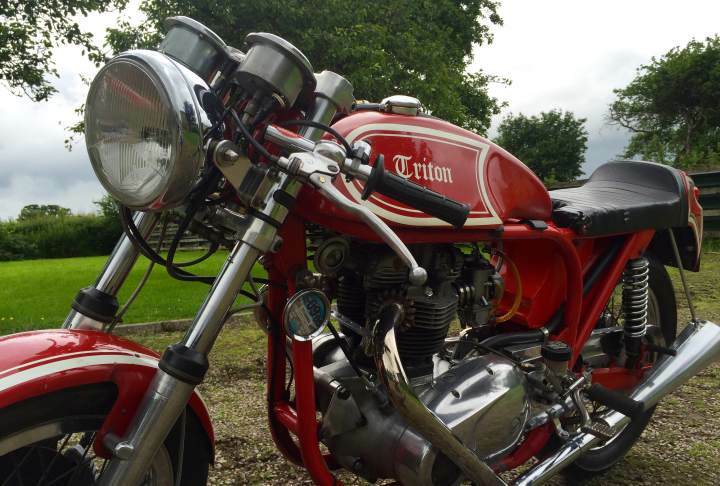 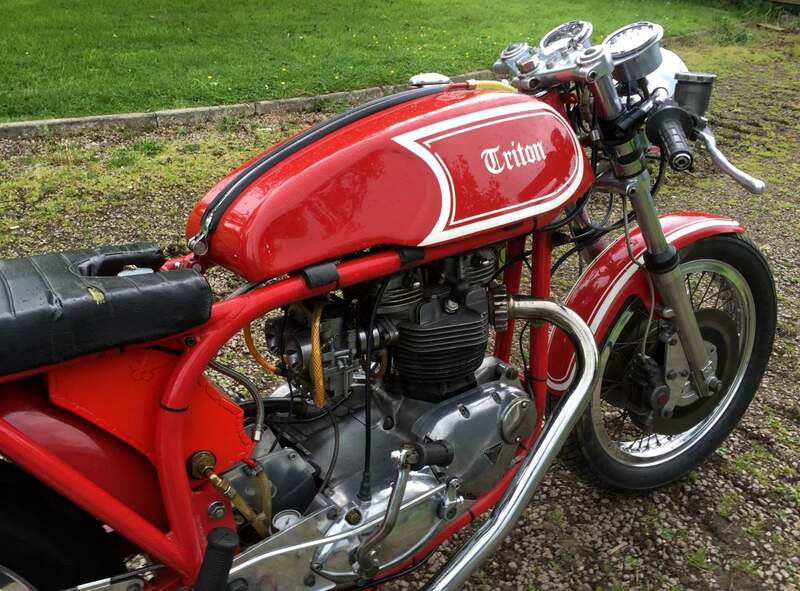 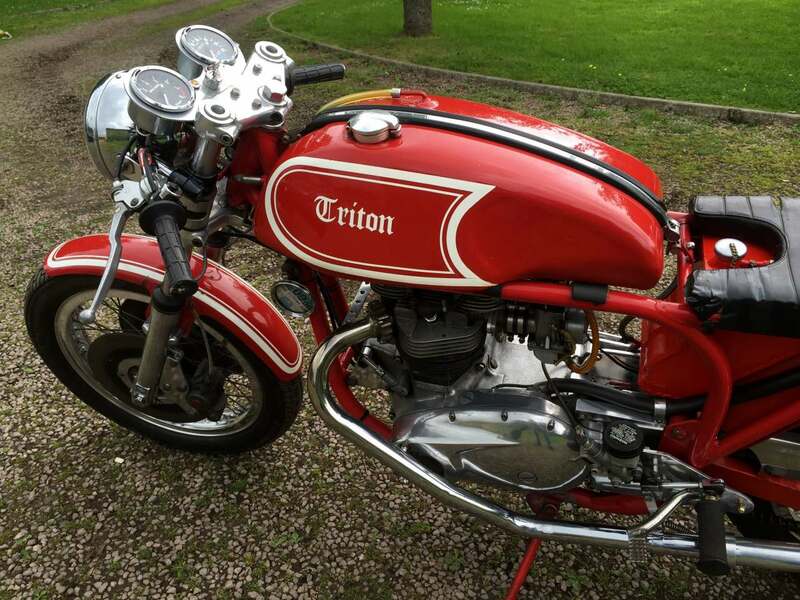 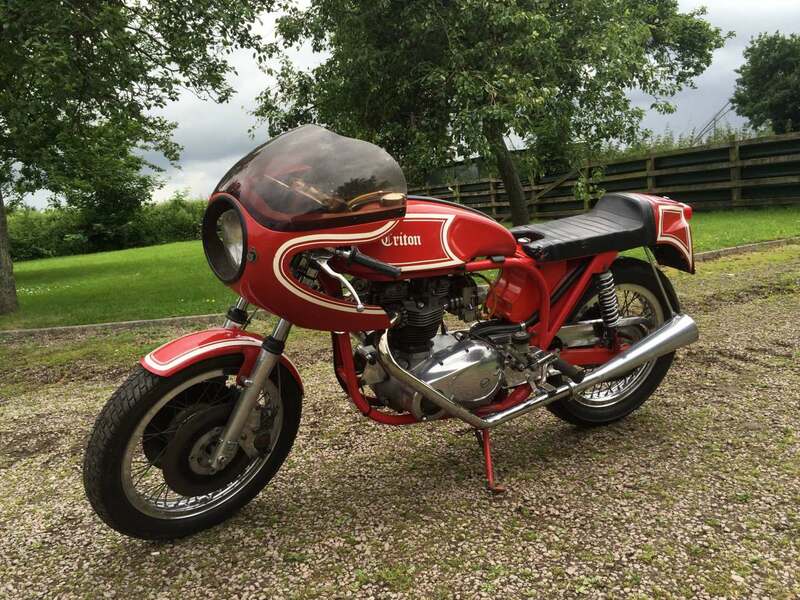 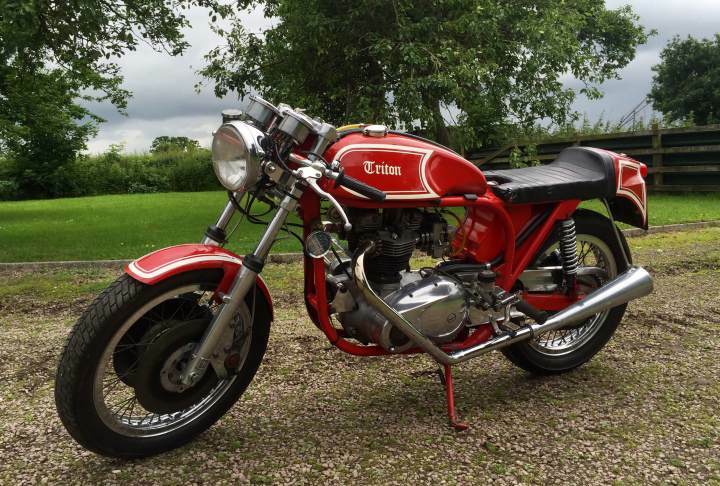 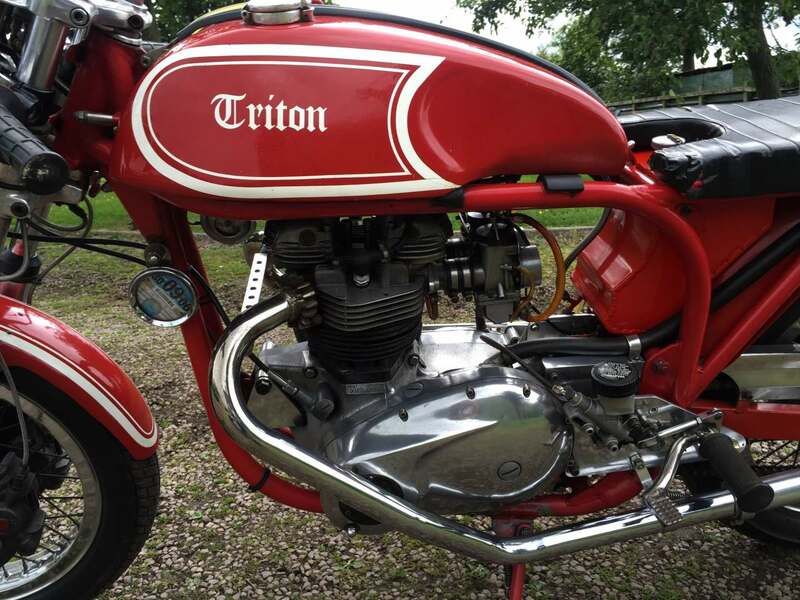 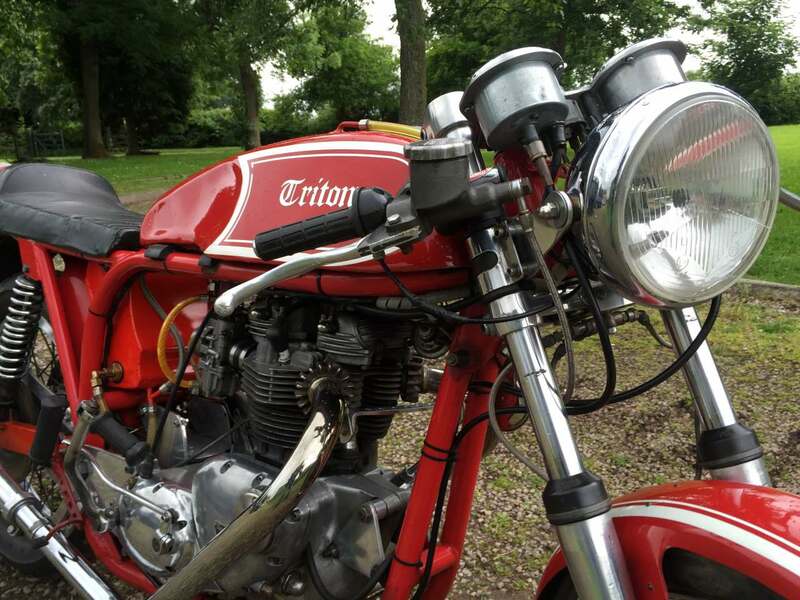 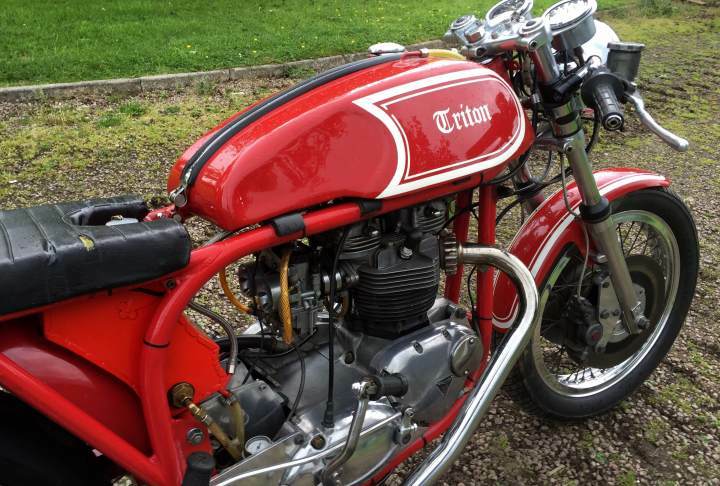 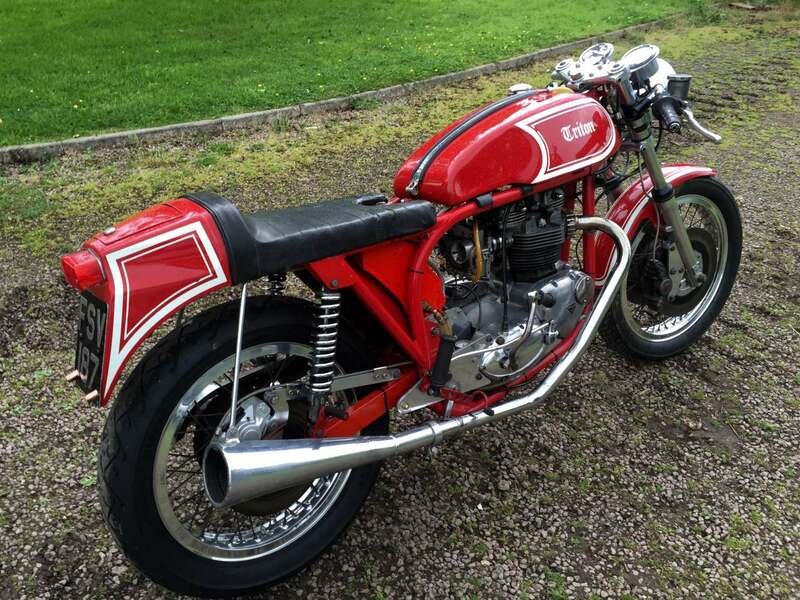 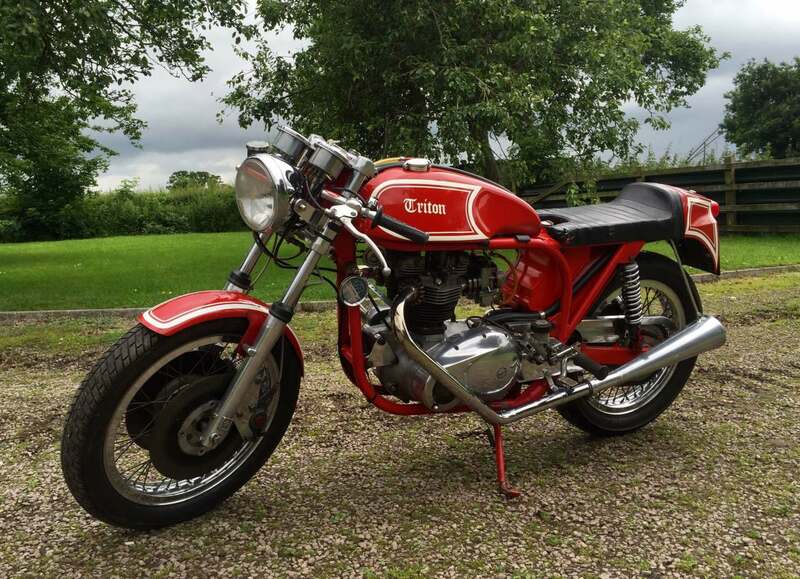 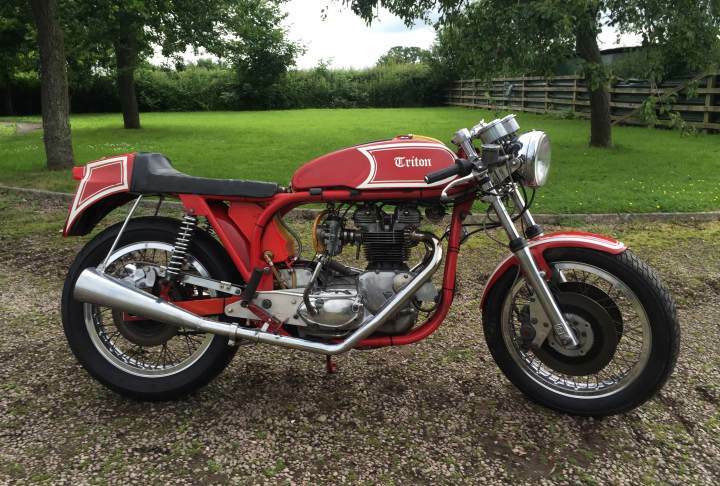 This is a very light and Fast performance Triton with twin lockheed discs, Twin swept back pipes with megaphones and alloy rims . 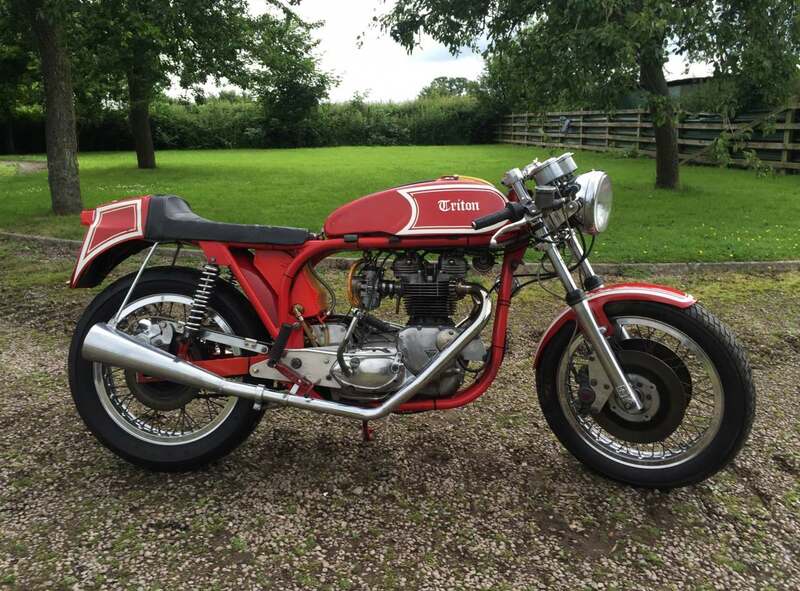 Looks stunning In red . 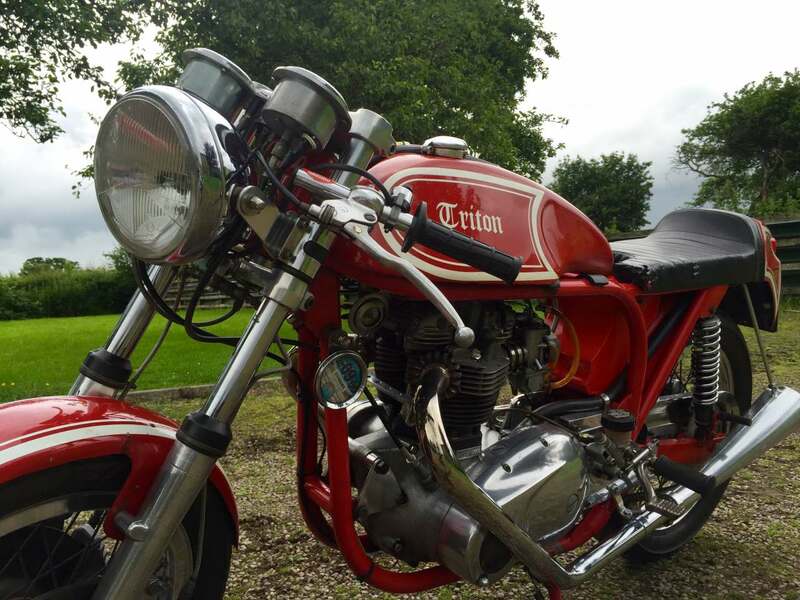 A very well sorted and individual and desirable machine that Attracts Lots of attention wherever it goes. 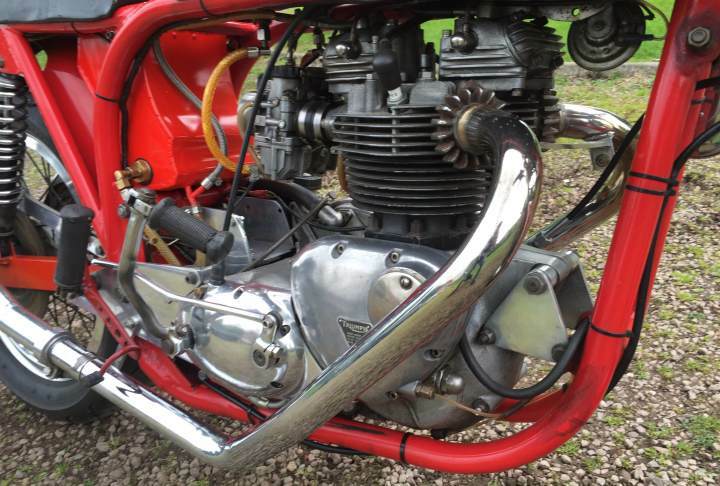 Comes with its colour matched nose cone and brackets as shown loosely Fitted in one of the photos.